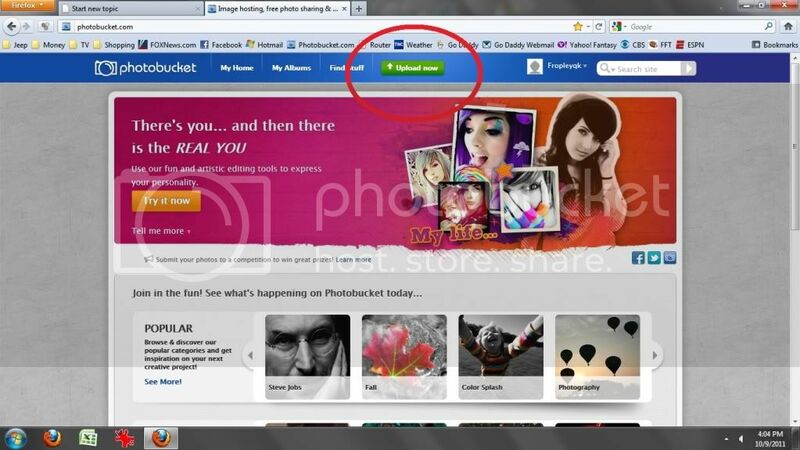 Once the pics are uploaded to Photobucket, go to the album. 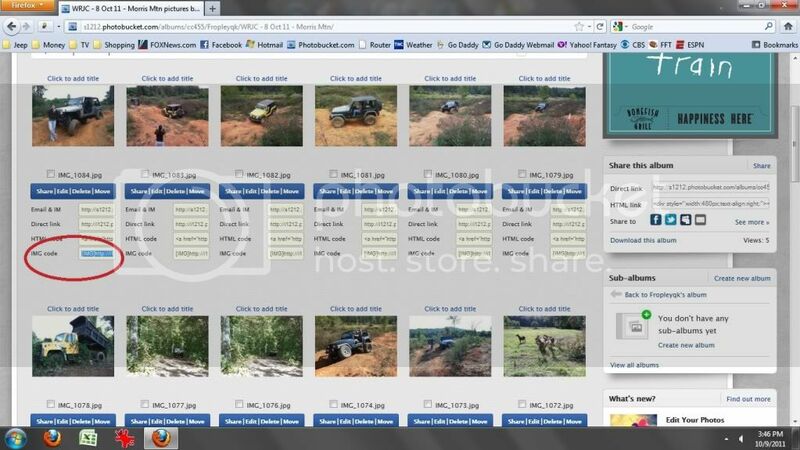 Then select each picture you want to upload by placing a check in the box, or you can check the box at the bottom to "Select all"
Next scroll to the bottom of the page and click on "Choose Action", then "Generate link codes for selected"
When the "Generate link codes" screen comes up, click in the box shown below. The box will say "copied". 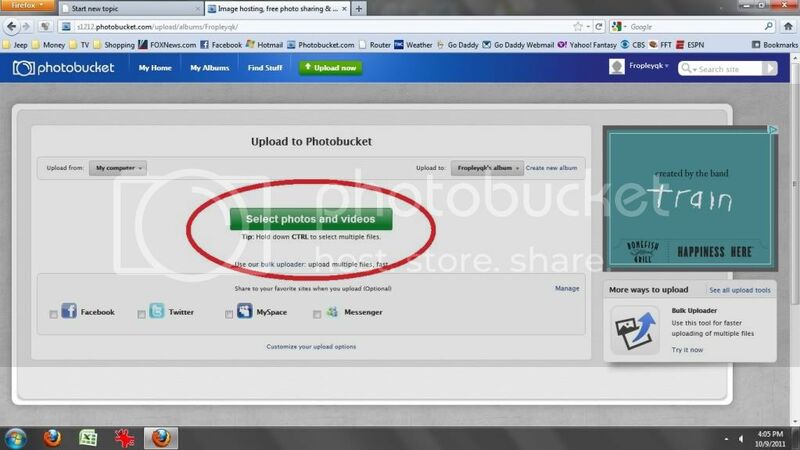 https://cubeupload.com/ is a good alternative now that photobucket doesn't allow 3rd party sharing without paying. 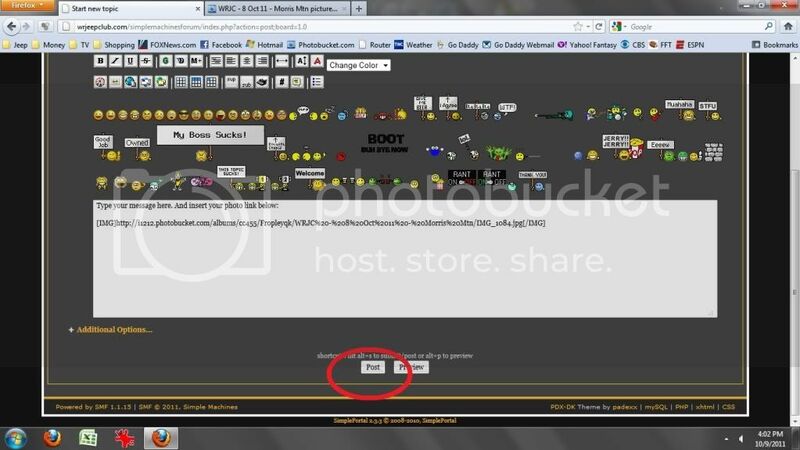 This is a great site to use. 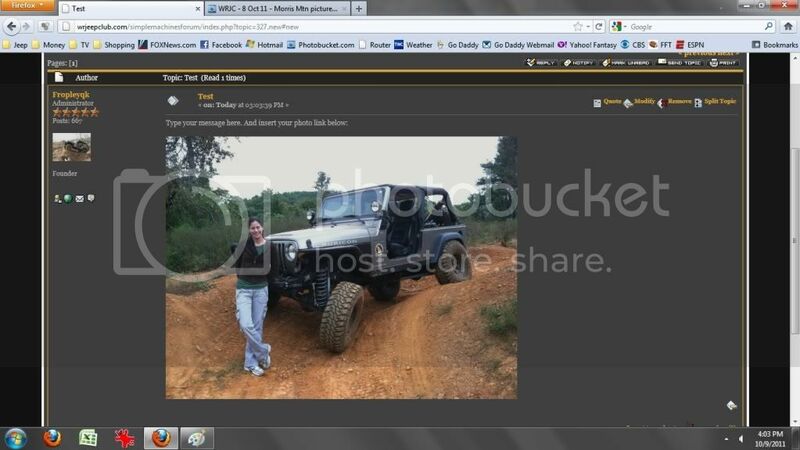 I think it's easier than photobucket.